“Mingalaba” From Myanmar, Land of The Golden Pagodas! Mingalaba – “greetings to you” in the Bamar language! 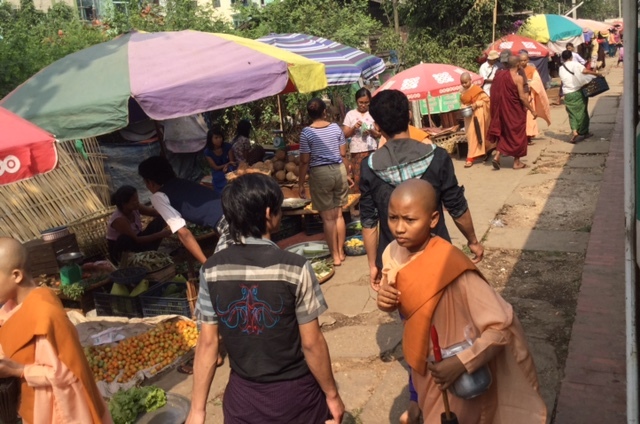 Recently I spent three weeks in Myanmar, escaping at least a bit of an unusually cold Toronto winter. 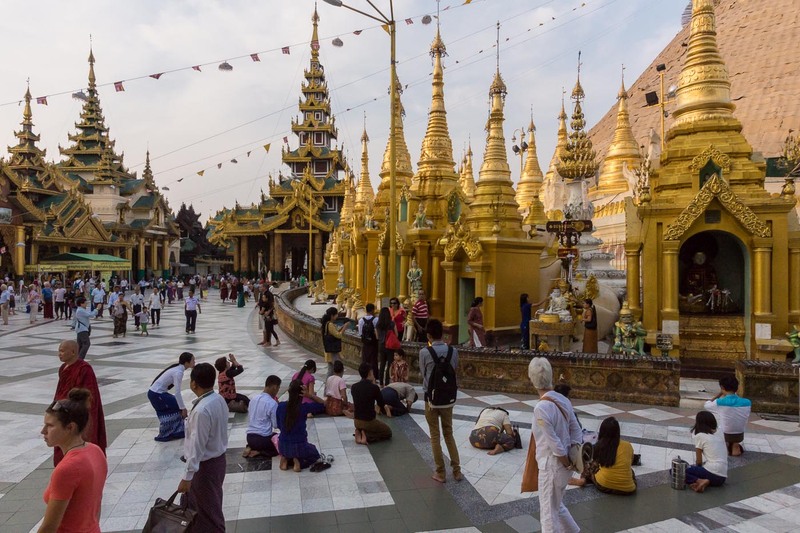 As well as a week on my own to explore Yangon and some nearby towns, I spent two very enjoyable weeks on an Exodus Travel – organized small group tour called Discover Burma (Myanmar), which focussed on the highlights of the central (and mostly Bamar) part of the country. We visited the site of the old capital at Bagan and its 3000 or so stupas; we also spent a few days in the later capital of Mandalay as well as three days in the Inle Lake area in Chan State. Back in Yangon (mispronounced by the British as “Rangoon”) we ended our tour with a visit to the front gate of the home of Aung San Suu Kyi on University Avenue Road. While it is undeniable that the citizens of Myanmar have some serious political and social issues to deal with, I returned home with a more optimistic feeling than I had arrived with. For a country that has only recently opened up to foreign visitors, it surprised with its vitality and modern ways. Still in evidence every day was the profound influence of Buddhism on the lives of the people, whose welcome made this trip memorable for more than just gilded stupas and Buddha statues. It may also be time that we stopped insisting on calling the country Burma. The name is what the British made of the colloquial name Bama used by the people themselves. To the Bamar people who live in the heartland along the Ayeyarwady River, the formal name has always been Myanmar. Gallery | This entry was posted in Myanmar and tagged Balloons Over Bagan, Burmese monks, Isle Lake boat tour, Mandalay Hill, Yangon Shwedagon Pagoda, Yangon Sule Pagoda. Bookmark the permalink. 3 Responses to “Mingalaba” From Myanmar, Land of The Golden Pagodas! Wow! Amazing photos! Do you know what they use for the ‘gold guiding’ of buildings? Sue, while some of the gold gilding is real gold leaf, most of it is likely a covering of gold metallic paint. The central stupa of the country’s most important Buddhist site, the Shwedagon in Yangon, was having its gilding refreshed while we were there so we only got to see the straw mats and bamboo scaffolding. Apparently some 81 kilograms of gold are being used in the regilding. Given its importance, this would be one site where devout Buddhists would not be skimping. Thanks, Max. It looks like a truly unique adventure. Safe travels!